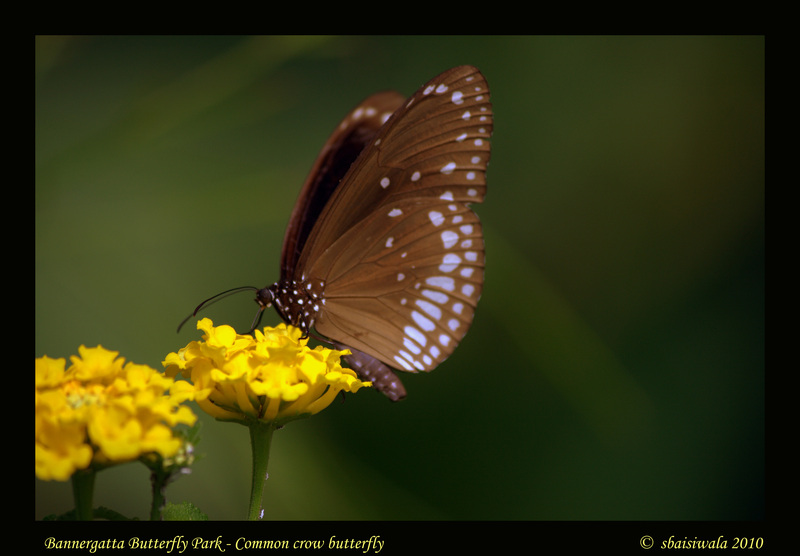 Best time to view butterflies: 9 a.m. to 3 p.m.
Armed with enthusiasm, the Canon 400D and a 55-250 zoom lens, we headed out to the Bannergatta National Park which lies 22 km south of Bangalore. The park itself was huge and bursting to seams with the horde of people- all out to partake in the safari conducted by the park officials. 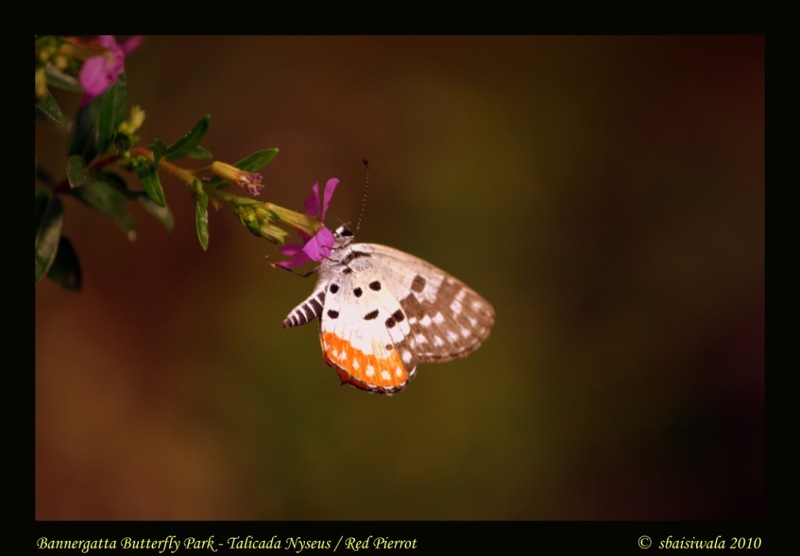 We gave this a miss and headed for the Butterfly park which is located a few metres away from the main parking lot. 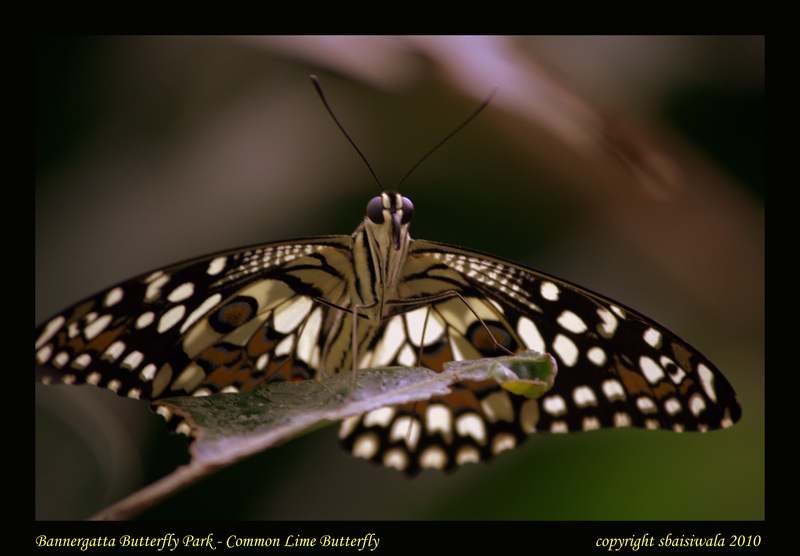 Spread over 7.5 acres, this is the country’s first butterfly park and was inaugurated in November 2006. We purchased out tickets from the counter at the main gate ; 20/- for the ticket per person and 20/- for the still camera, we walked down the meandering pathway set in stone and surrounded by lush greenery. A large but natural outcrop of stone wall enclosed the park while the other side was filled with green trees, bamboo thickets, etc. We espied a drinking water station, the outline of which was a butterfly. The path was bordered on both sides with info boards on the park, rules and butterflies. Soon, we came upon a huge butterfly shaped gate which was the entry for the 10,000sft circular enclosure with a polycarbonate dome. This enclosure also houses a museum and an AV room, complete with their own domes. 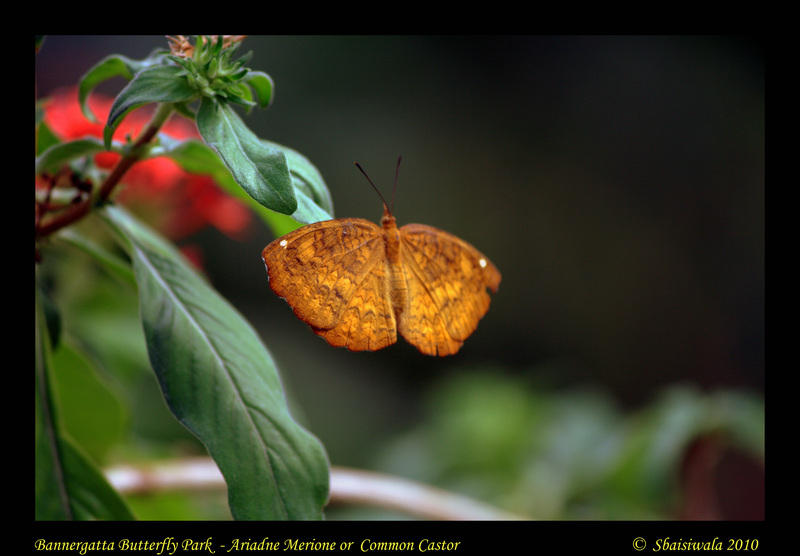 The museum has a host of information on the butterfly species with pictures, actual specimens mounted in glass enclosed frames, life cycle of butterfly, and some live larvae on the typical plant on which they are usually found. The audio visual room runs a film on butterfly every hour, starting at 11.00 a.m.
We entered on a curvy path with bridges over flowing waters which originated from an artificial water cascade at the opposite end from the door. 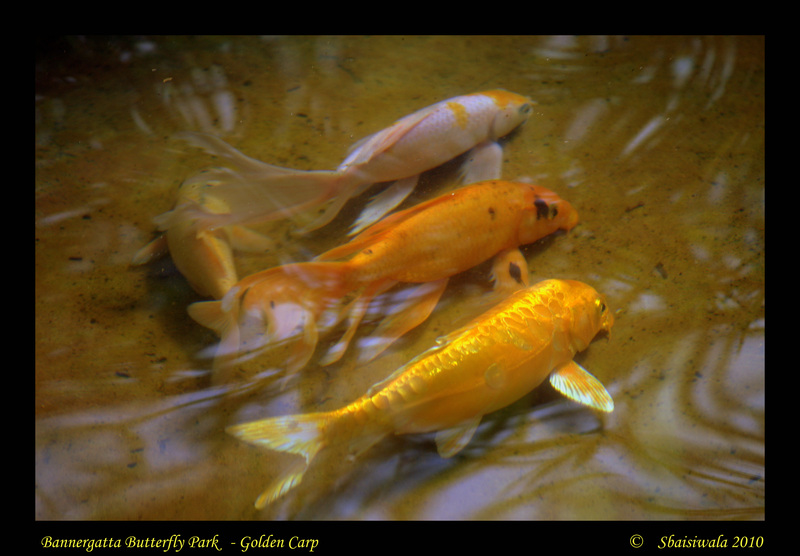 There was golden carp swimming in the shallow waters. 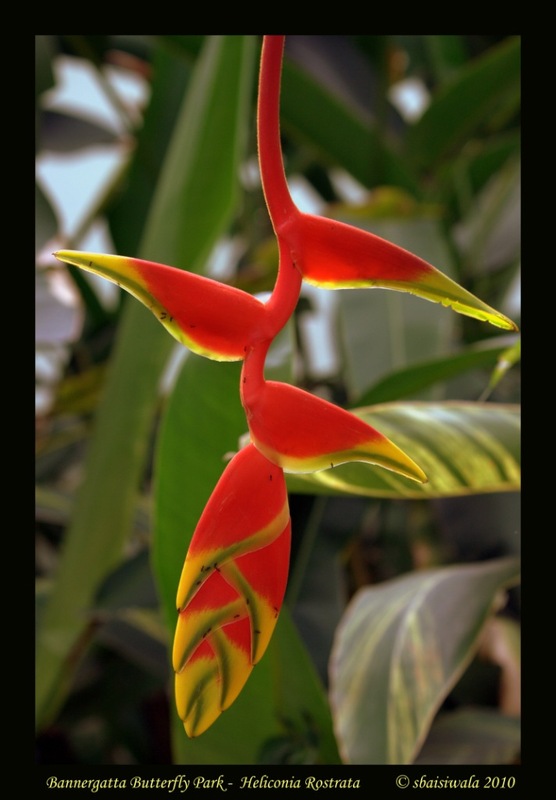 The flora and fauna was completely tropical – lush and colourful, devised to attract the butterflies. There was a beautiful mix of flowers, heliconias, anthuriums, birds of paradise, etc, planted with bushes full of reds, yellows and pinks. It was quite hot and humid in the enclosure. 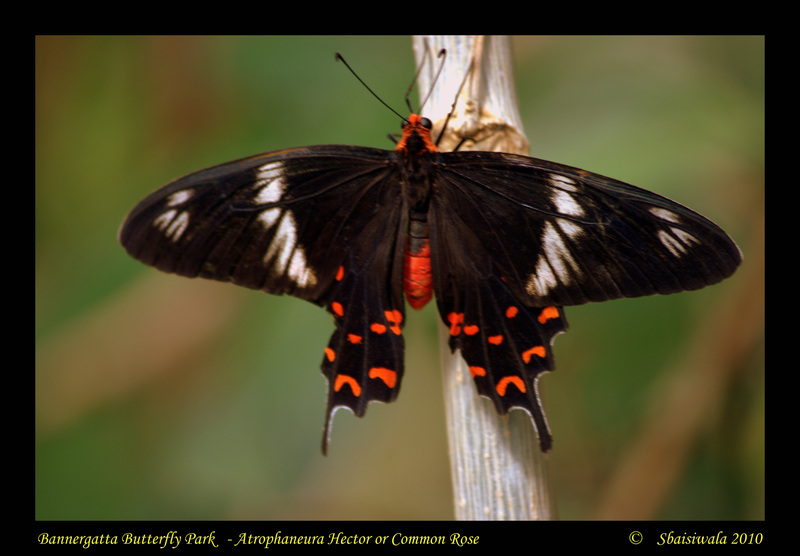 The study of butterflies and moths is called Lepidopterology. 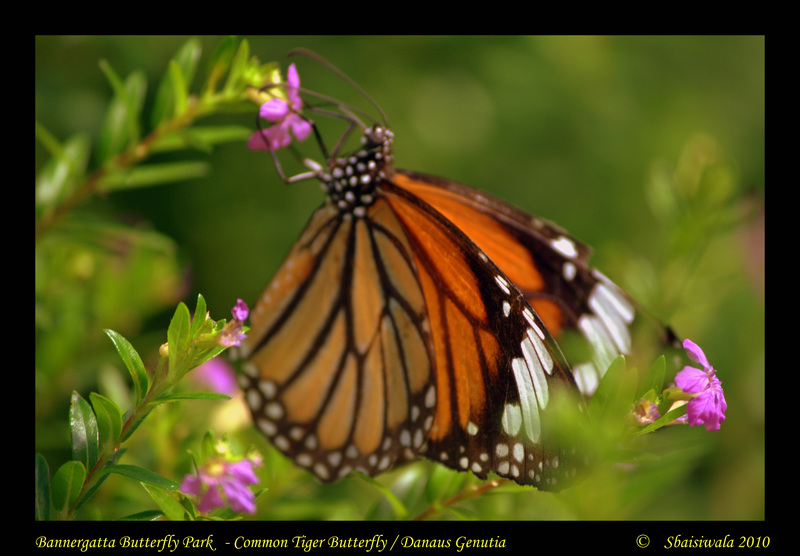 There are between 15,000 – 20,000 species of butterflies the world over. 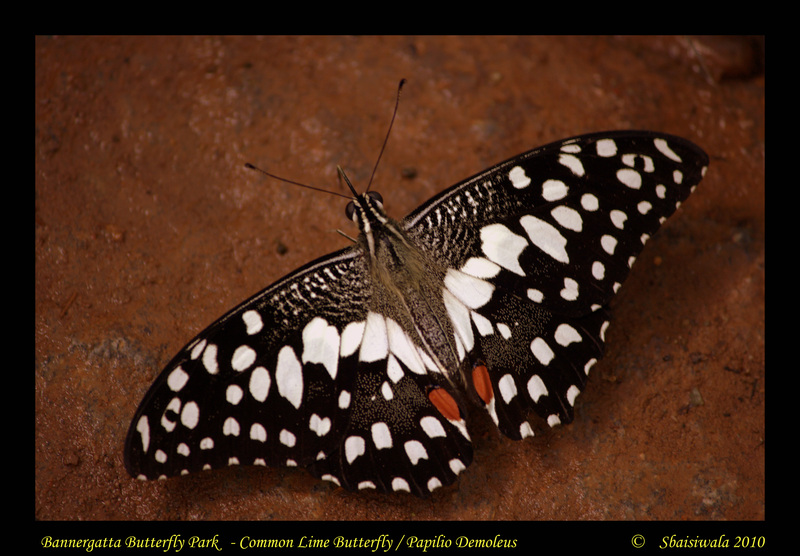 This park house over 20 species of butterflies of which we spotted – red pierrot, common mormon, common castor, common tiger, common crow, lime butterfly and a small yellow one- most obliged me by settling on leaves, rocks and flowers. While walking on the path, we came upon a group of common mormon which were settled on a patch of water – made for quite a pretty site. It was a sheer delight to see these delicate winged creatures flitting from one end of the enclosure to another, alighting at intervals on flowers to drink nectar, before once more flying off. While we were admiring these beauties, two ladies came in, loaded with plastic cases from which they released loads of newly emerged butterflies. If you are lucky, you can help them in lifting the lids and watch them fly out of the box. 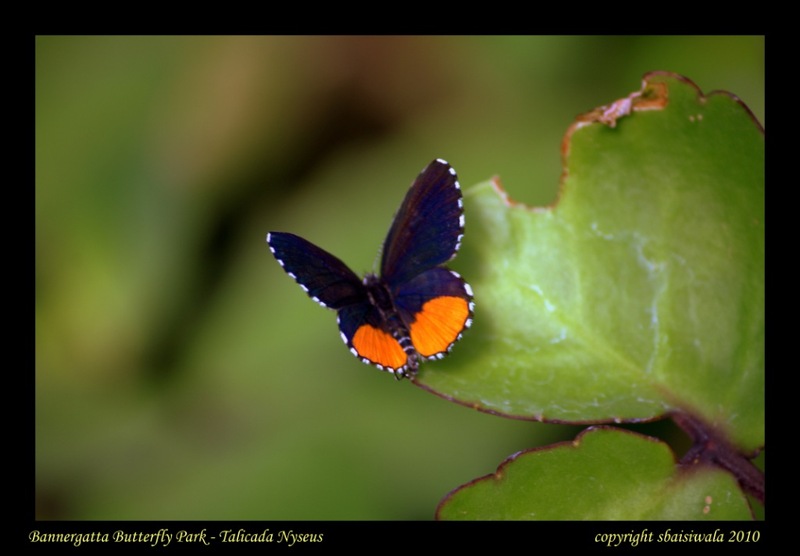 At around 3 p.m. we noticed that the butterflies had somewhat become lazy, most were found resting on rocks or hanging on the undersides of large leaves. This is when I got some of the best shots. 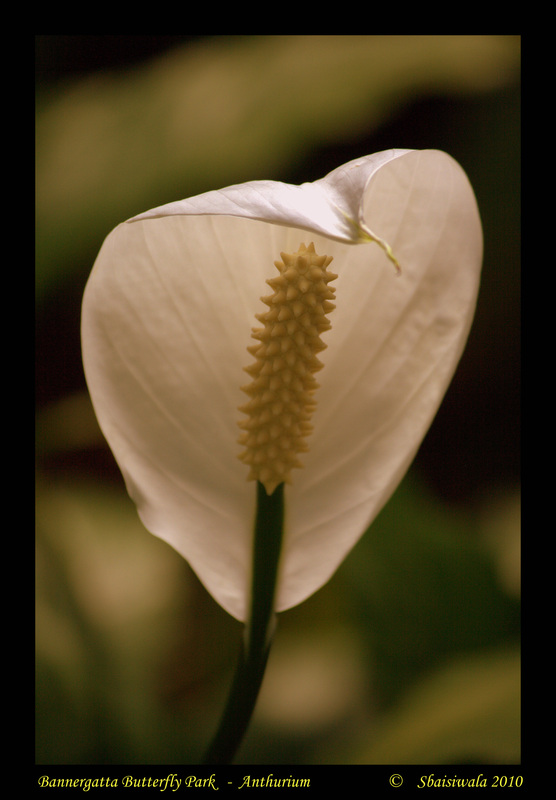 We left with some beautiful memories and a promise to return soon to try and spot more of the 20 species housed here. Next Post Bangalore Diaries : Maid-en woes!! !